Guinot Hydradermie Facial Treatment at our salon in Coulsdon. 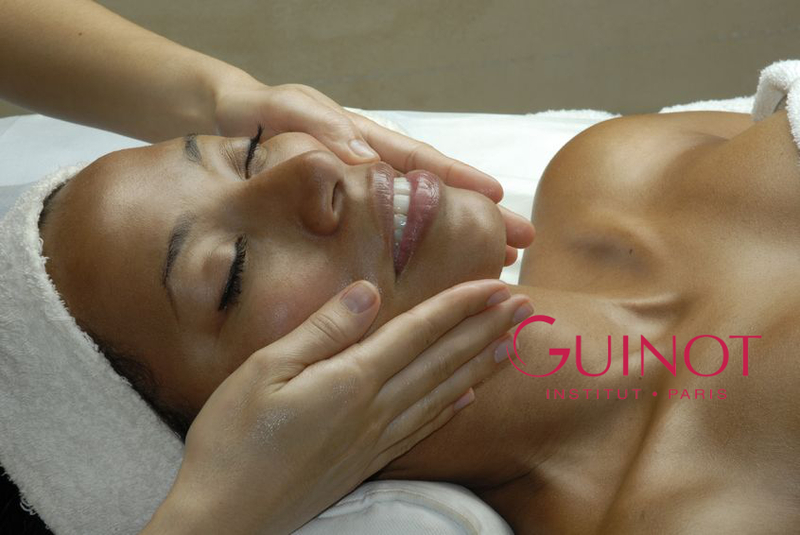 Guinot Hydradermie facial treatments – the revolutionary salon treatment for in depth skin purification and cleaning. Discover the alternative to aesthetic medicine. Using a combination of a a gentle ionization process, thermal energy or lifting stimulation, Guinot’s patented technology will allow you to achieve visible, clinically proven results just after one of our chosen treatments. Hydradermie is an exclusive Guinot treatment that will make your skin youthful and radiant, from the very first treatment. This unique and major innovation enables fast and deep penetration of ionised treatment ingredients, resulting in exceptional results and effectiveness. With age and fatigue, facial contours begin to show signs of ageing. Hydradermie Lift is an effective lifting treatment that stimulates the facial muscles using a low frequency current which causes a toning action, stimulating the muscle fibres in the skin leaving a smoother, firmer and more youthful appearance to the complexion. To add new youth to your eye contour, your beauty therapist has a gentle, effective solution with Hydradermie Lift Yeux. This treatment specifically targets the area around the eyes to reduce signs of ageing, fatigue and puffiness. From the end of the very first session, small wrinkles are erased, crows feet are smoothed and eyes look younger. The mTherapy facial rejuvenation treatment is both a unique blend of anti-ageing ingredients and an electrical appliance specially designed to ensure maximum delivery of the treatment. The serum used contains a complex mix of vitamins, minerals, amino acids, plant acids and more of all Hyaluronic Acid. A relaxing aromatherapy facial using essential oils extracted from plants from warmer climates. Relax and unwind with a tension-reducing massage and a customised combination of plant extracts and essential oils to suit your skin’s needs. This relaxing aromatherapy facial balances the skin, softens fine lines, restores radiance and complexion and immediately refresh the skin. Beaute Neuve is a gentle double-peeling facial containing that contains the powerful natural exfoliating properties of AHAs, combined with pure vitamin C and anti-ageing ingredients to boost radiance, reduce pigmentation, as well as re-hydrate and regenerate the skin. Guinot recommends a course of three treatments, taken over consecutive weeks. A customised facial for both men and women which is an alternative to steam, the adjustable heated electrode allows the specific cleansing gels to penetrate deep into the skin. This treatment is customised at every step based on the consultation you have with your therapist and what your skin needs. This treatment will be unique to each individual by using the Guinot products suited to your skin at the time. Your skin will feel totally clean and fresh, revitalised and energised. 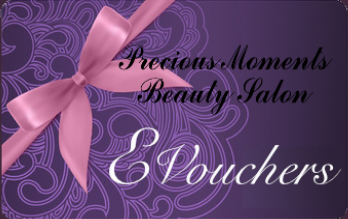 Precious Moments Beauty Salon in Coulsdon use Guinot products to cleanse and tone the skin, restore elasticity, combat acne and impurities. A mini facial includes exfoliation, a mask, and finishing with a moisturiser to leave your skin soft and fresh. Specially developed to treat the problems associated with mature skin. Using a high concentrate of vitamin C, it firms and regenerates mature skin. Guinot recommendation is a course of two over consecutive weeks. Yes even the youngsters can be pampered! Great if you want to look your best on that all important first date or getting ready for your first Prom.